French cosmetics giant L’Oreal is planning the launch of a new brand of organic cosmetics for this coming September, according to an LSA report. Named La Provencale Bio, the product range is set to source many of its main ingredients from the south-eastern region of Provence, and will also be manufactured in France . 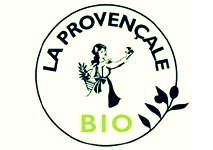 Intended for mass market distribution, La Provençale Bio will be based on natural ingredients such as olive oil and will offer products mainly focused on facial care. The brand will also market hygiene products such as soaps and deodorants. Fashion Network reports that the market for organic health and beauty products in France is currently valued at around €480 million ($557 million) and growing at a rate of 8% annually, well ahead of the global average.